The dangers of mainstream personal products are staggering and one of the most susceptible groups of that harm are children and teens. 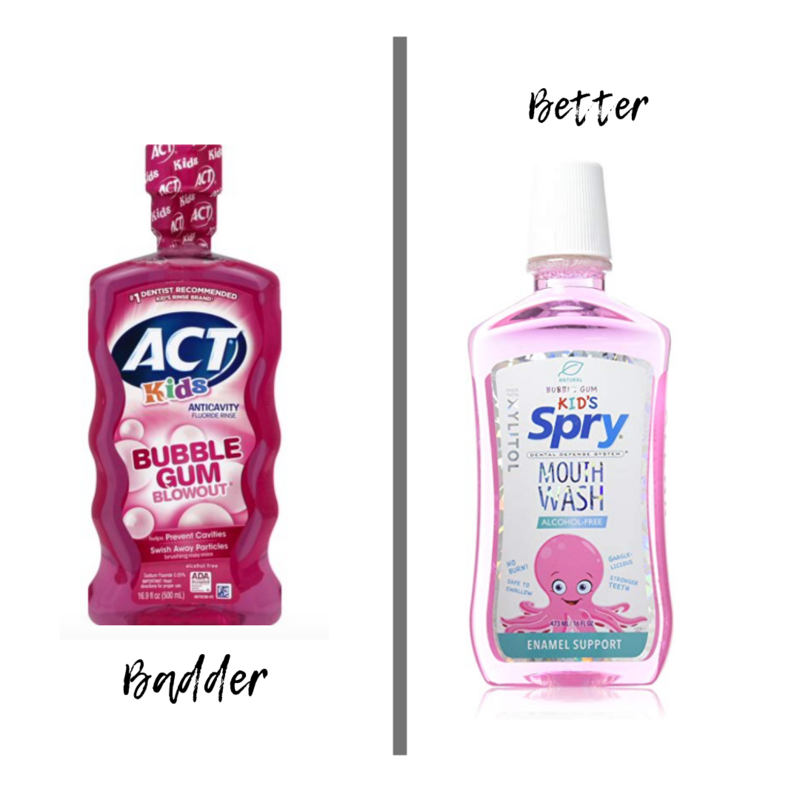 Here are my Safer Personal Product Swaps for Children and Teens so that we can make a real difference in their toxin exposure! I’m a Jewish mother in every sense of the word. I worry about things within my control, out of my control, about things that haven’t even happened yet and of course, whether or not everyone has had enough to eat…yes even the adults I’m feeding. But there’s one topic that is really near and dear to my heart and mission, that I can’t help but be overly concerned with, which is the exposure to daily endocrine-disrupting and cancer-causing chemicals that we choose to consume, believing we are safe. I chose to swap out my kids’ products a couple years ago when I realized that their fun apple scented shampoo might actually cause cancer and autoimmune disease like type 2 diabetes. 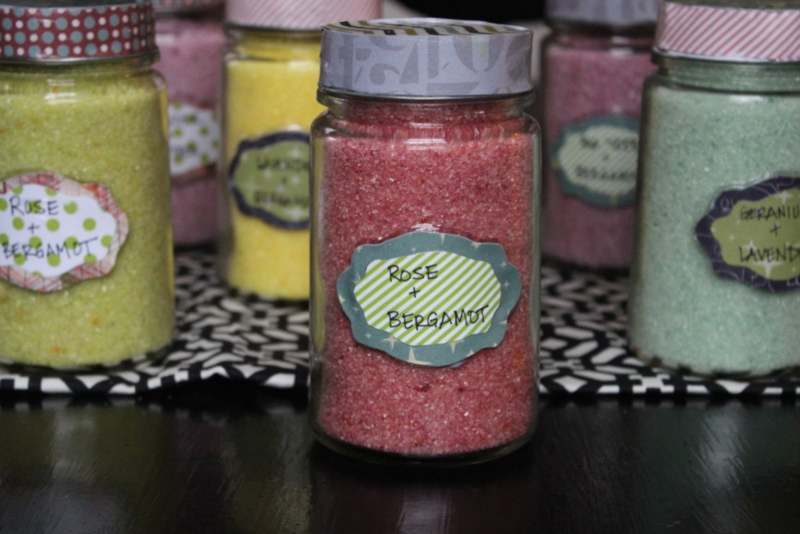 Or that fun scented bath bomb home kit might actually contribute to early puberty in both boys and girls. Or what about that bright blue toothpaste that is so “fun” and festive – that artificial dye can contribute to behavioral issues or allergies. The problem is that literally (not being dramatic) almost every product we grab off the store shelves contains really dangerously harmful chemicals that we believe are ok for our kids to consume. Food is an easy thing to identify as healthy or unhealthy much of the time. Drive-thru happy meal with soda? Not so healthy. Overly processed packaged food with GMO wheat, dairy, food dyes, and preservatives? Not so healthy. Fresh veggies chopped up or a scoop of nut or sun butter or even homemade trail mix? Much better. But our personal care products are so much trickier. Because just like with food, companies use shady labeling to convince us that their products are “safe” and “pure” because they’ve added a splash of essential oils. Or they don’t try to convince us at all, because we blindly assume that if we can buy it at Target in the kids’ section, then it MUST be ok for us, right? RIGHT?? Now some of you might be thinking, “Ok lady with your tin foil hat, thanks but no thanks. My kids are perfectly healthy and they use rainbow body wash that smells like unicorns and fairy dust and cotton candy and they are perfectly fine.” And to that I say, you might be right. They may be fine. But there is scientific literature that supports the fact that THESE PRODUCTS ARE CONTRIBUTING TO EARLY PUBERTY, AUTOIMMUNE DISEASES, AND CANCER and whether you are seeing those issues right this minute in your child’s life, does not indicate whether or not there is major systemic damage being done. There are scientific NIH studies to corroborate this so if you want to call me a hippie mom, that’s fine, but read the science too. We can do better for our babes, whether they are 6 months old or 16 and driving. Let’s show them safer. CLICK ON ANY IMAGE BELOW TO SHOP THE SAFER OPTION! At this age, we as parents are solely responsible for what is going onto our babies. There are so many options these days, some obnoxiously green washing, while others are overtly toxic. 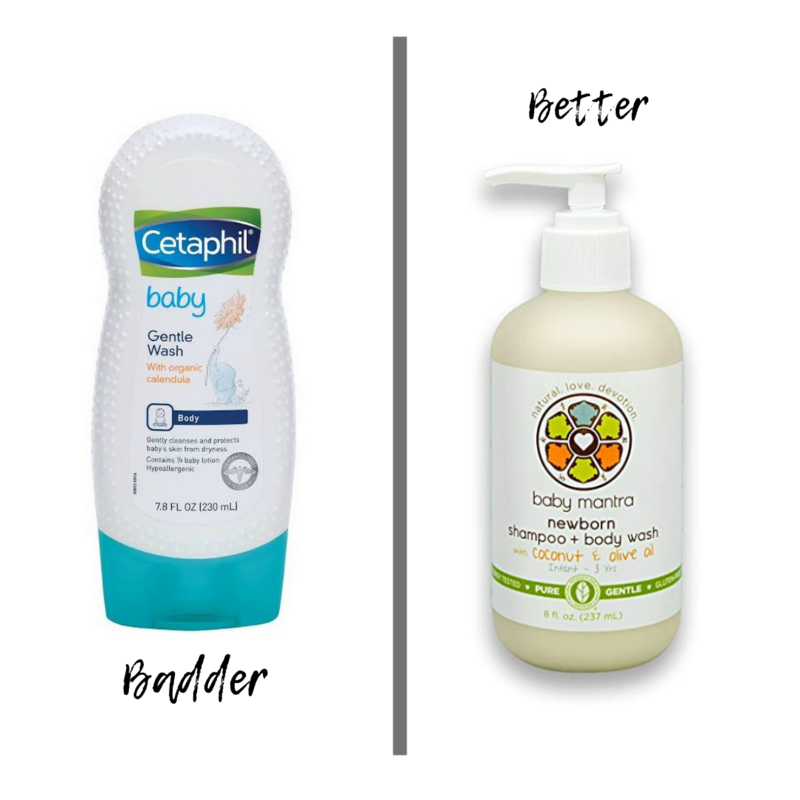 Fortunately, there are many options for safer products to go on baby’s skin, the biggest and most absorbing organ of their little squishy bodies. Here are some easy swaps to keep toxic exposure reduced. 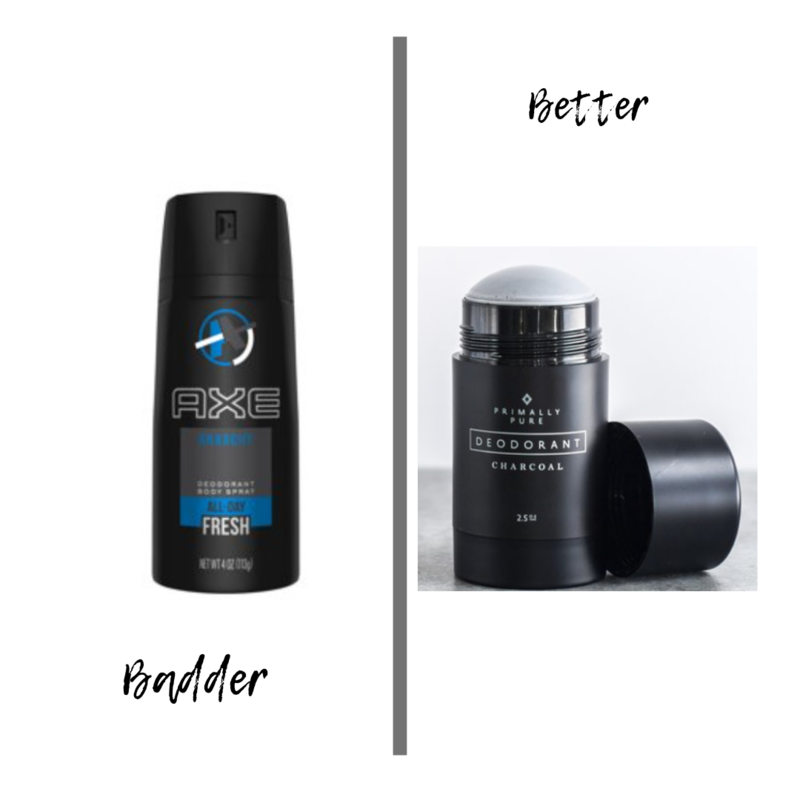 The “badder” option here contains both aluminum, which is found to be detrimental to brain health, and also synthetic fragrance, which has been shown to be an endocrine disruptor (think trigger to autoimmune disease like thyroid, hormonal imbalances, early puberty, and type 2 diabetes). The better option ranks a ONE, the safest possible rating on the Environmental Working Group’s website which you can find HERE. Shop BETTER HERE! The “badder” option here has both petrolatum and synthetic fragrance. A petroleum product, petrolatum can be contaminated with polycyclic aromatic hydrocarbons (PAHs) in the United States. Studies suggest that exposure to PAHs — including skin contact over extended periods of time — is associated with cancer. 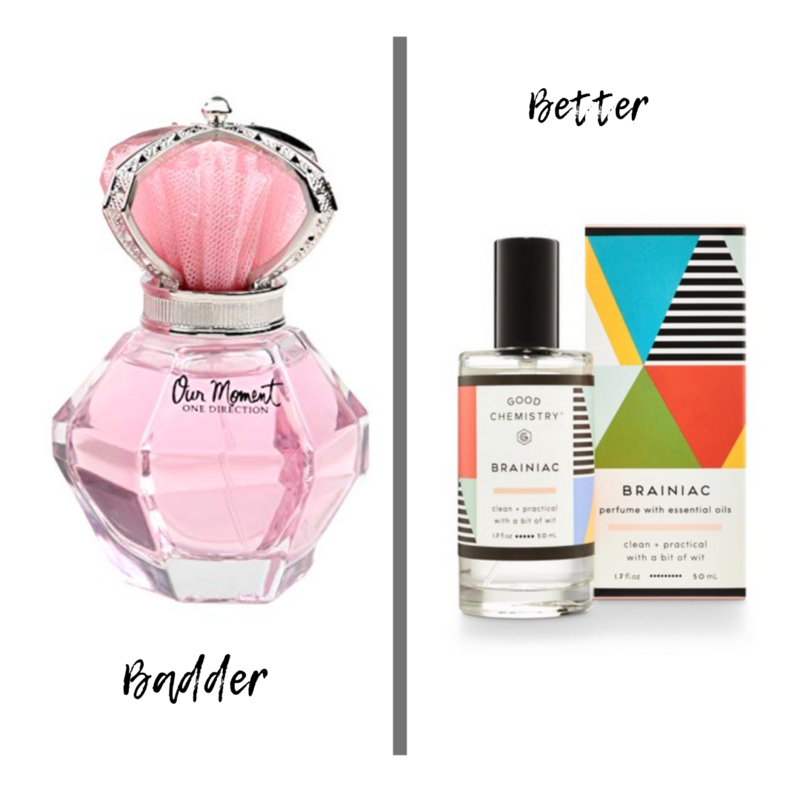 And as mentioned in the above “badder” product, synthetic fragrance too is major endocrine disruptor potentially leading to cancer, thyroid disease, and other autoimmune diseases. Shop BETTER HERE! The “badder” option here has petrolatum, artificial fragrance and talc, which unless sourced correctly, can contain asbestos. Bigger corporate brands typically do not screen or test for the safety of their talc, so while I do trust talc-containing products from Beautycounter, it is because they specifically source their talc from guaranteed safe suppliers and THEN batch test their products containing talc to ensure they do not have cross contamination with asbestos. For more information on why petrolatum and artificial fragrance are harmful, see the links in the above two posts. Shop BETTER HERE! 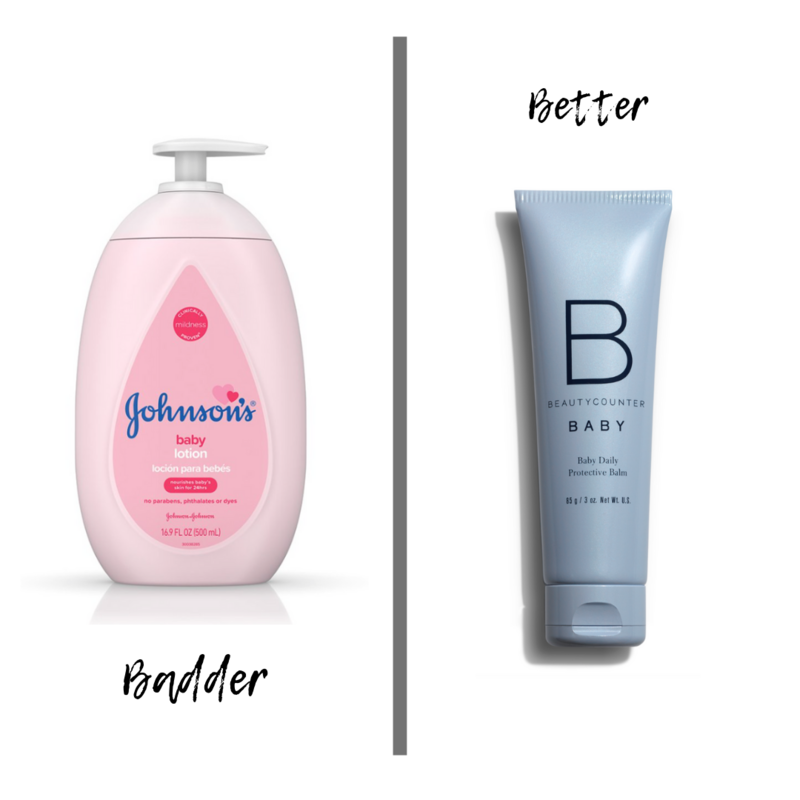 This “badder” brand talks a big game with its greenwashing label claiming organic ingredients and “gentle” nature for young skin. 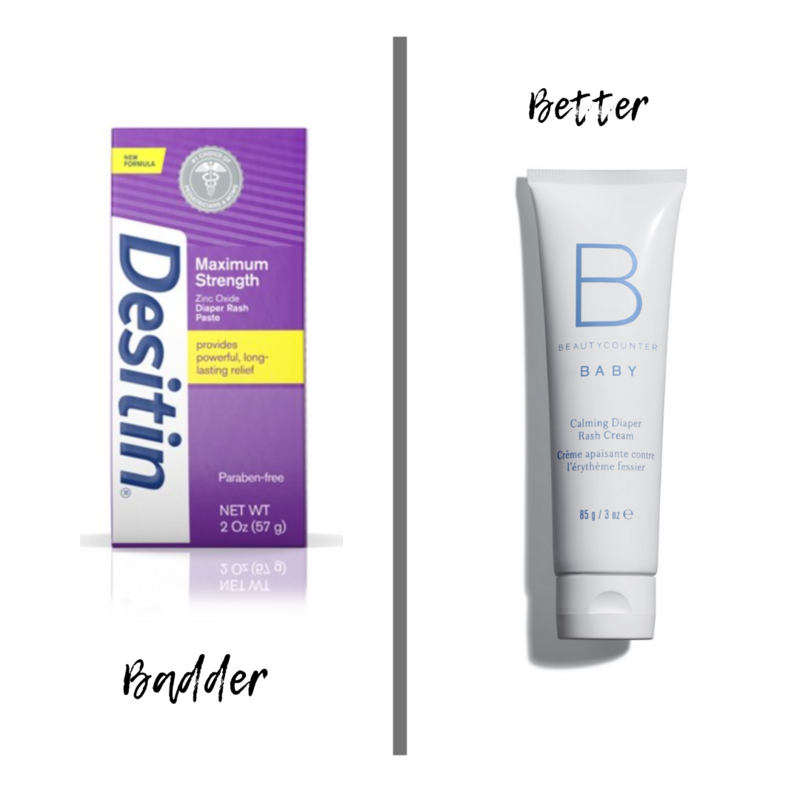 But if you dig deeper, you’ll find it uses artificial fragrance, our “favorite” endocrine disruptor, sodium laurel sulfate, which has been linked to skin irritation and allergic reactions, and multiple preservatives which make this option far from safer. 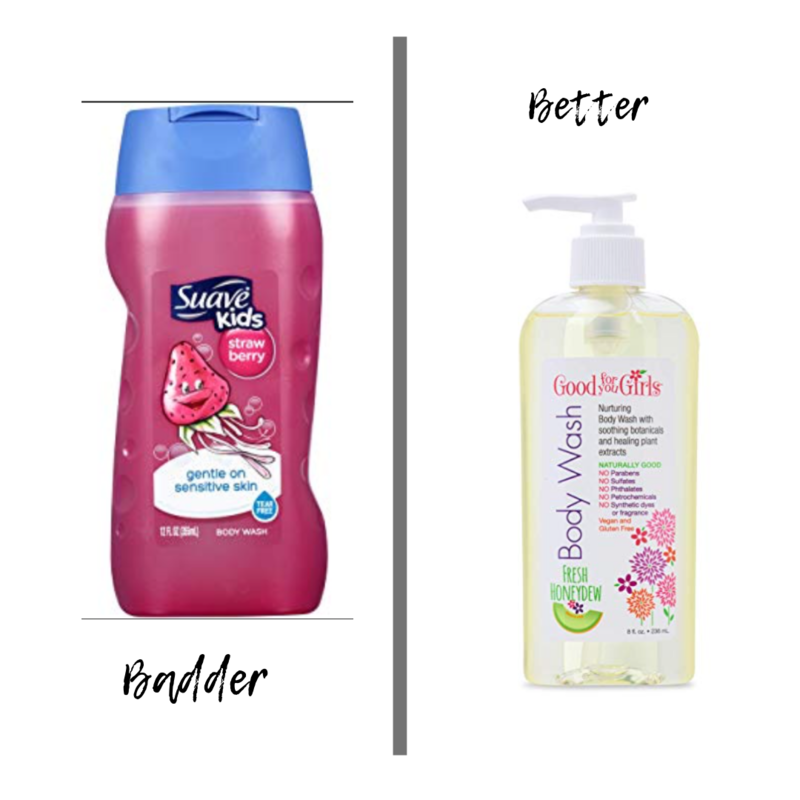 The better option on the right ranks as an EWG verified product, among the safest on the market. Shop SAFER HERE! At this age, kids will often start to notice their favorite cartoon characters and brightly colored displays of products they are asked to use daily by their parents to clean their teeth, wash in the tub, or comb their tangles out. Marketing starts here and is very convincing, to the point that kids will often exhibit temper tantrums in retailers. The problem is, the products specifically marketed towards kids are typically the ones that also have some of the most toxic ingredients for growing bodies. Here are some better options. I don’t even know where to start with the ingredients in this “badder” option. They are horrendous. 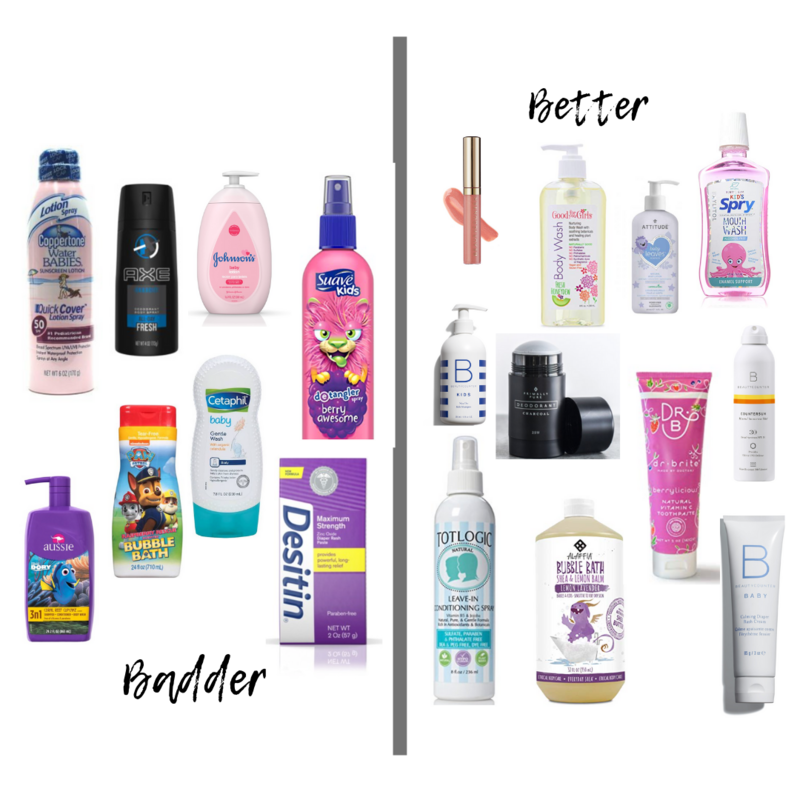 From artificial fragrance (endocrine disruptor), to sodium laurel sulfate (see HERE or above to read more on those dangers) to DMDM HYDANTOIN , which is a formaldehyde releaser to Methylisothiazolinone which can cause neurotoxicity and ecotoxicity, to more preservatives than a you can count, this product is abhorrent and belongs nowhere near our kids. The better product on the other hand has no parabens, sulfates, fragrances, petrochemicals and is fragranced with naturally sourced nontoxic options. Shop SAFER HERE! This “badder” option is uber appealing to kids with a recognizable character and exciting CUPCAKE scent. Who in the fresh hell needs hair that smells like baked goods? C’mon people, don’t fall for the hype and start teaching your kids why pixar film stars don’t make your hair cleaner or better in any way. This product has sodium laureth sulfate as the 2nd ingredient and you know that cupcake scent didn’t come from an essential oil. Remember when you are putting cancer-connected ingredients right onto your child’s scalp, they are able to hit the bloodstream in seconds. 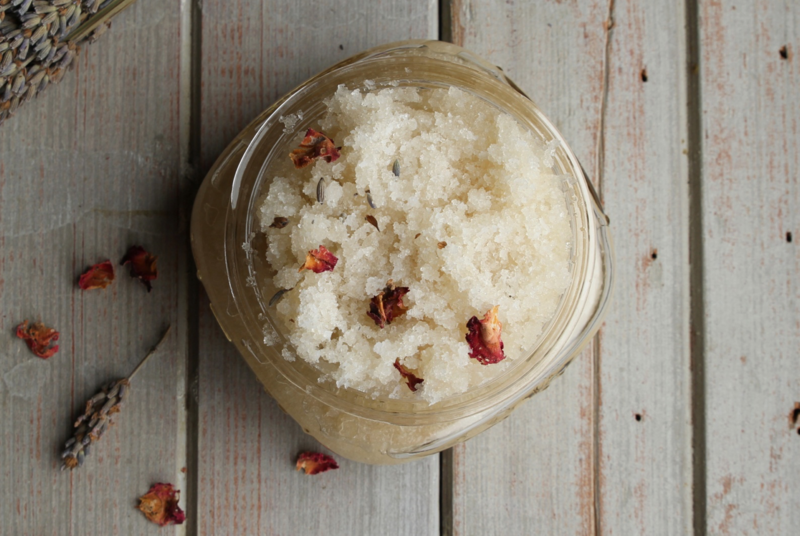 You can get fresh smelling hair with lots of bubbles and a squeaky clean end product without all the crap. Know better, do better. Shop SAFER HERE! 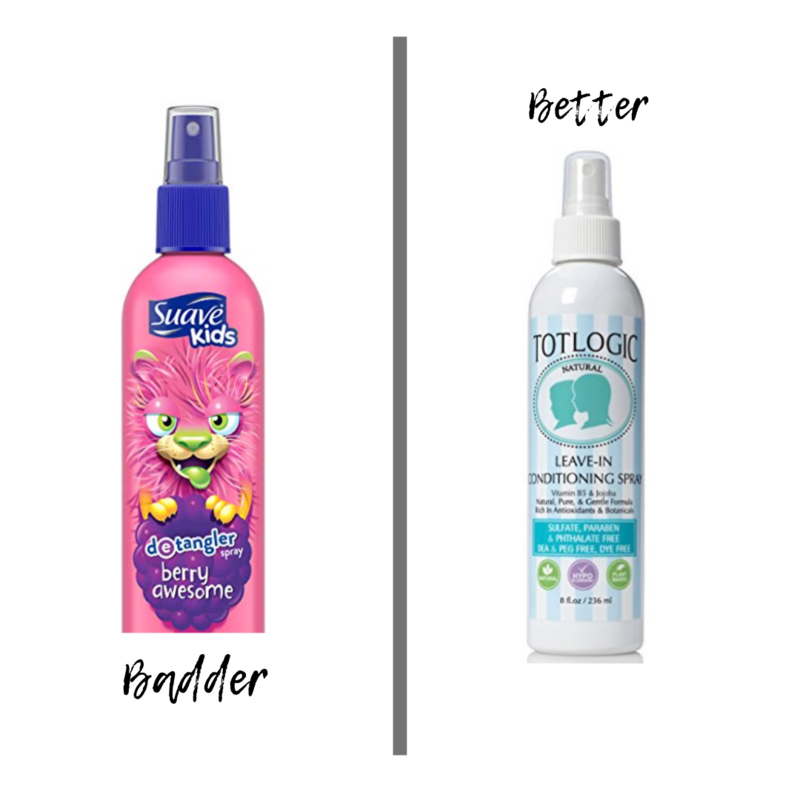 The “badder” detangler option here makes your hair smells like fake fruit and has propylene glycol in it which wins the big prize of the American Contact Dermatits Society’s Allergen of the year! 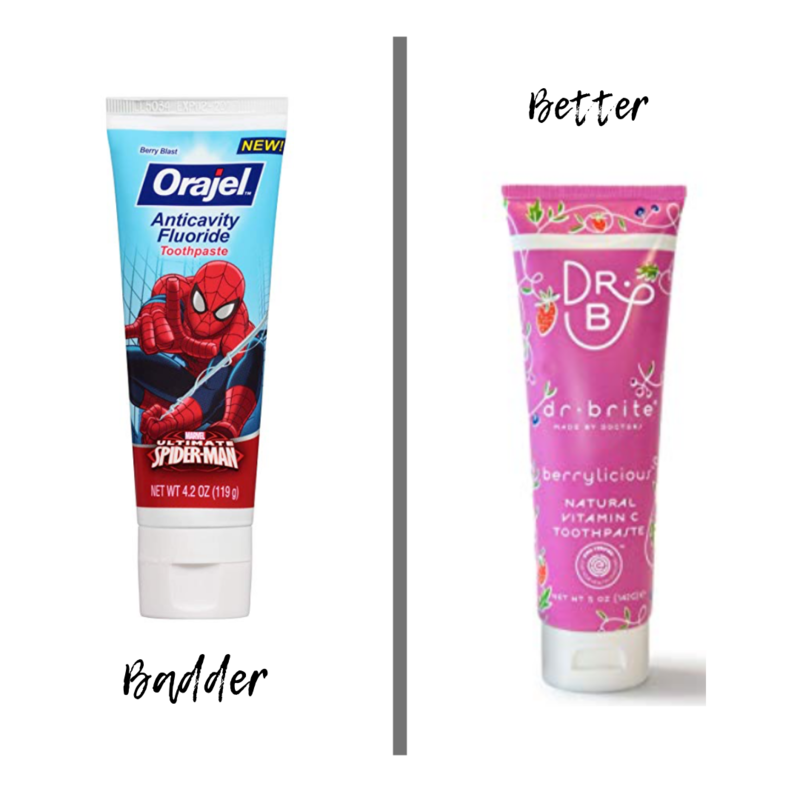 Big claps for this “berry awesome” product which could potentially help in developing early puberty, thyroid disease (linked to synthetic fragrance), or maybe just a simple allergic reaction from its primary ingredient. So many fun options to choose from. Or just shop this EWG low (as in safe) ranked product and switch to safer! Shop SAFER HERE! This “badder” gem of a product has fake colors, fake flavors (saccharin and sorbitol), a hefty dose of fluoride which can be linked to higher TSH or thyroid stimulating hormone, and a fun ingredient called poloxymer 407 which can cause hyperlipidaemia which is an extra added bonus. Are all of the health risks guaranteed with these ingredients? Not necessarily, but when there are safer options that work just as well without the toxicity and risk factors, why not swap? Shop SAFER HERE! Oh goody, this “badder” toothpaste has Spiderman on it so it must really fight cavities like they’re a crime. It also makes sure you get an added punch of fluoride, some blue dye, sodium lauryl sulfate (in case you didn’t get enough in your shampoo, and you want to eat it), and some artificial saccharin thrown in for good measure. It’s SO incredibly easy to find safer toothpastes these days, in fact, they are even in the big box stores on the same aisles as the badder ones. Shop SAFER HERE! Thanks golly this “badder” bubble bath has red dye in it to match the fireman’s hat, I’d hate for it to be poorly coordinated with the packaging. 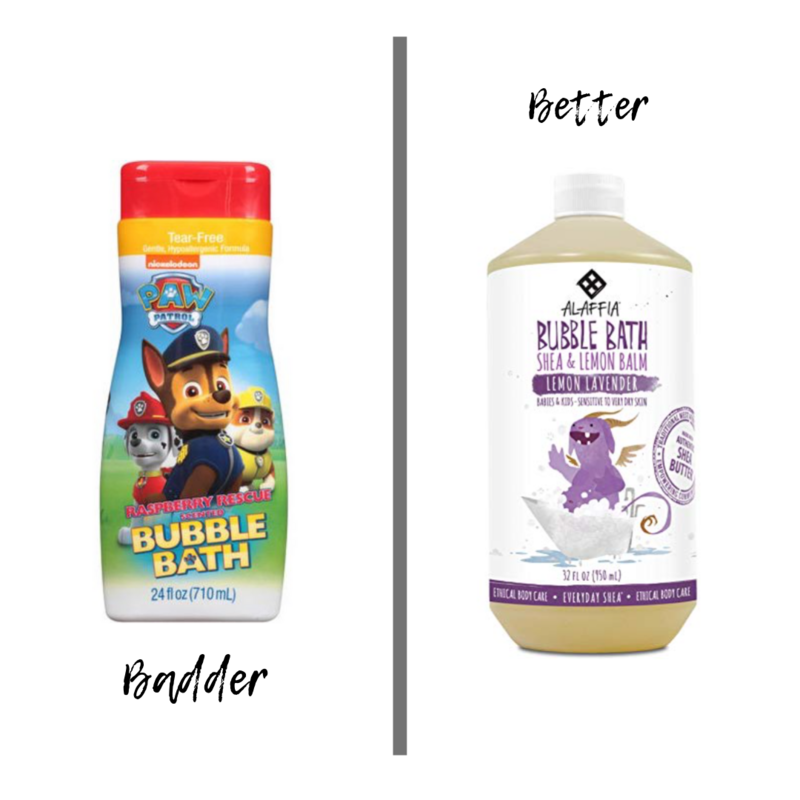 Similar to the shampoos and body washes, this “badder” option packs all the punches: dye, tons of preservatives and synthetic fragrance so you can smell like raspberry rescue, apparently. Read more up above on those ingredients and the risks associated with them. Skip the caca and shop SAFER HERE! Lord help me, why are we putting this absolute sh*t on our kids? 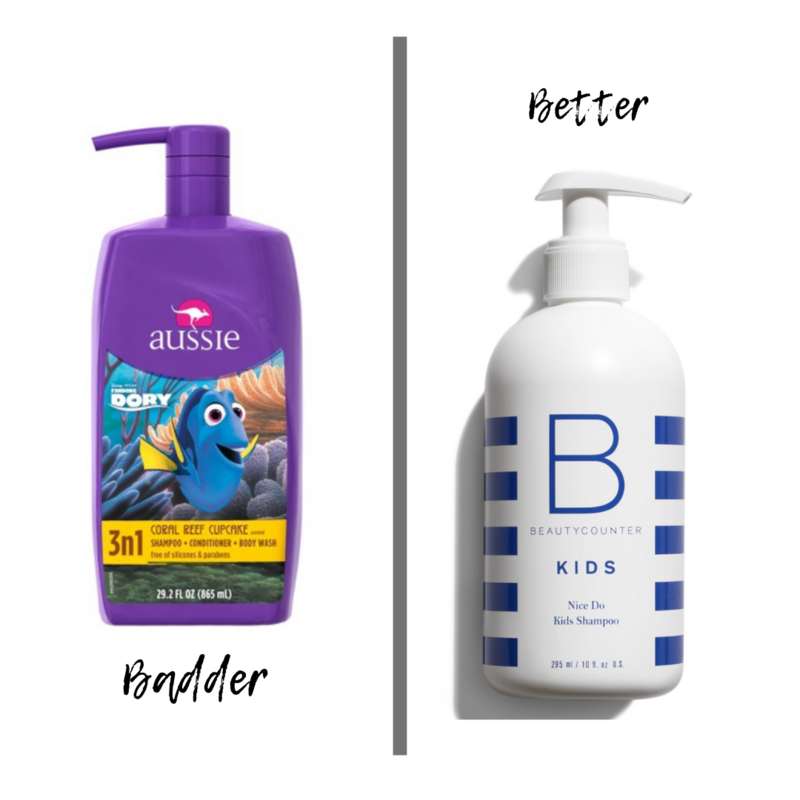 Multiple sources of parabens (potentially linked to cancer), artificial fragrance (known endocrine disruptor, potentially linked to autoimmune disease, cancer, and asthma) oxybenzone, also known to cause endocrine disruption all found in this mass marketed bottle of sunscreen geared towards kids! I’d love to know how we’re protecting our kids from cancer when we are spraying cancer-inducing chemicals directly on their skin. This is mind-boggling. And there are so many safer options. Shop SAFER HERE! This age group is especially concerning because it is now that the combination of consumer momentum pairs with puberty and wanting to feel, look, and smell attractive. Girls and boys begin using fragrance, cosmetics, deodorants/antiperspirants and bath and body products that can often be incredibly toxic for a hormonally peaking individual. 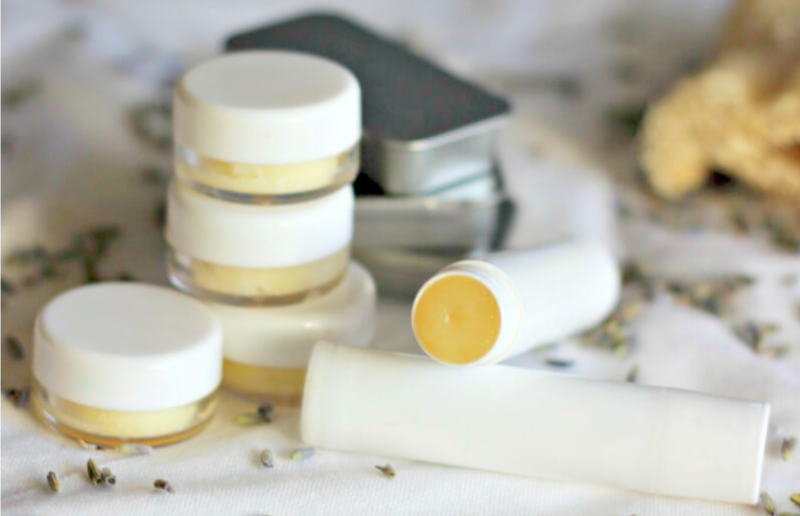 I could write an entire post on antiperspirants and in fact I did! You can read that HERE. But the short of the long is 1. You don’t want to stop sweating out impurities with neurotoxic aluminum. Nor do you want to apply a heavy coat of potentially cancer causing, endocrine disrupting fragrance. And while diet can definitely help you smell less like you’ve been working in a field of onions all day, there is a happy medium which I find to be both effective and aesthetically pleasing for teen (and adult) boys and girls. Shop SAFER HERE! 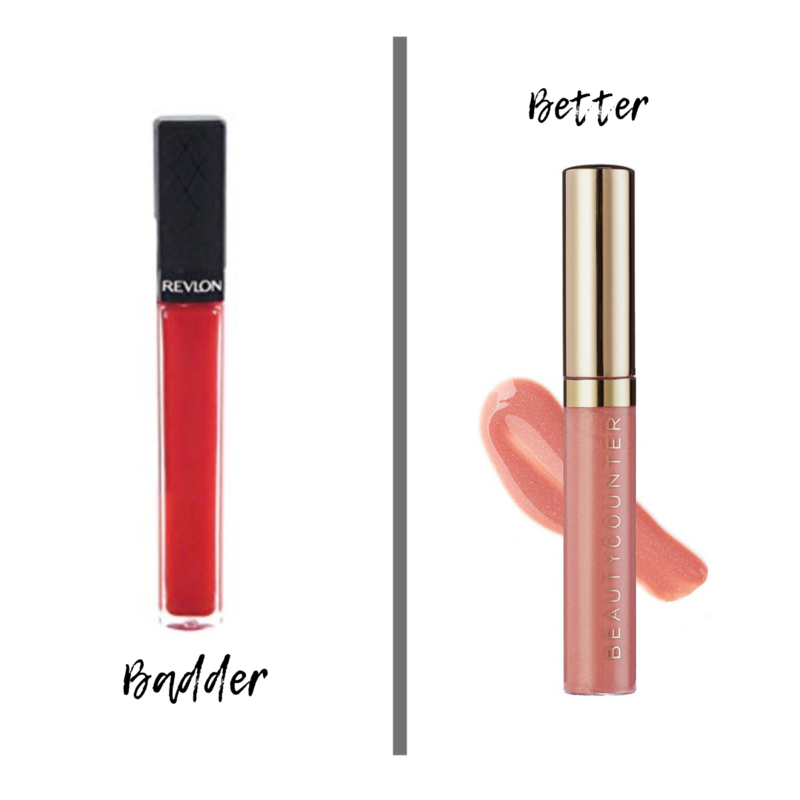 Who in the fresh hell thought it was a good idea to add artificial, endocrine disrupting FRAGRANCE into LIP GLOSS that would be ingested internally? Between that and the fact that there is still a permissible allowance of heavy metals that mainstream cosmetics companies do not have to remove, I’m real sure I don’t want any daughter (or son) of mine wearing this garbage. My safer choice has the faintest hint of naturally derived vanilla and batch tests TWICE for heavy metals to ensure safety, even when the government does not require that. It’s called standards, and we should raise ours. Shop SAFER HERE! I remember a time when I thought my potential social life would depend on whether or not I stayed stocked up on Country Apple and Plumeria from B+BW. I’m obviously a little embarrassed now but back then, nobody knew better, at least nobody I knew. Now, thankfully I know way more than I did and I don’t have to accept heavily artificially fragranced soap that smells like fake food in place of actual cleansing agents. Between the dyes, endocrine disrupting fragrances, and other scary ingredients you can’t pronounce, I’ll take a hard pass. 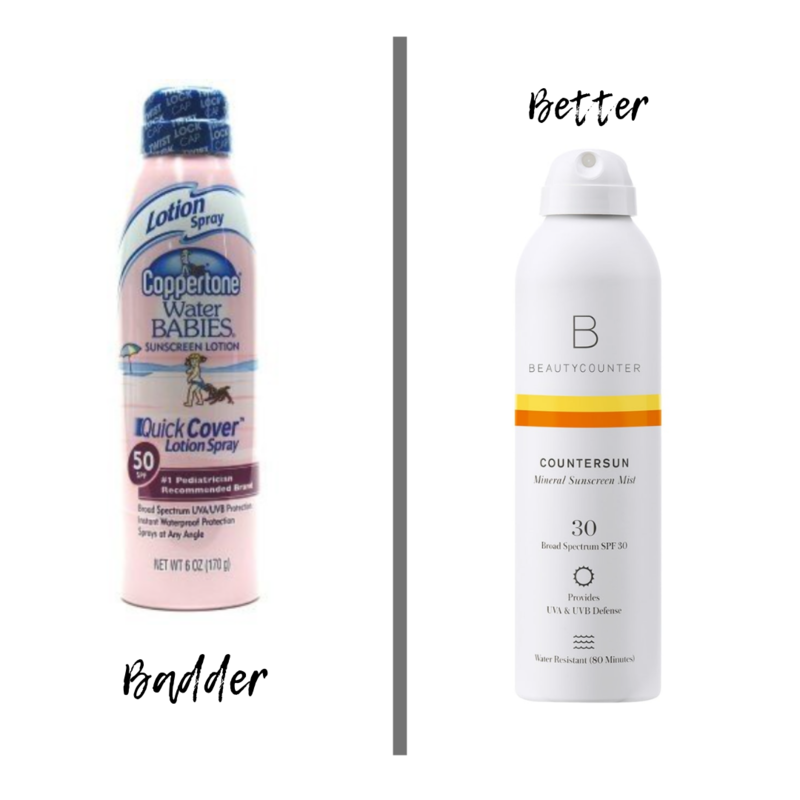 For shampoos and other recommendations go HERE! Shop SAFER HERE! I remember working at Banana Republic out of high school. I sprayed their fragrance all over me until I basically couldn’t outrun a criminal without leaving a perfume trail. I get it, I’ve been a real fragrance junky in my life but people, there are better options now. Not even over the top expensive options! Since we know that artificial fragrance is linked to cancer, autoimmune disease like type 2 diabetes and thyroid disease, why do we insist on using it? Shop one of my favorite SAFER lines HERE! 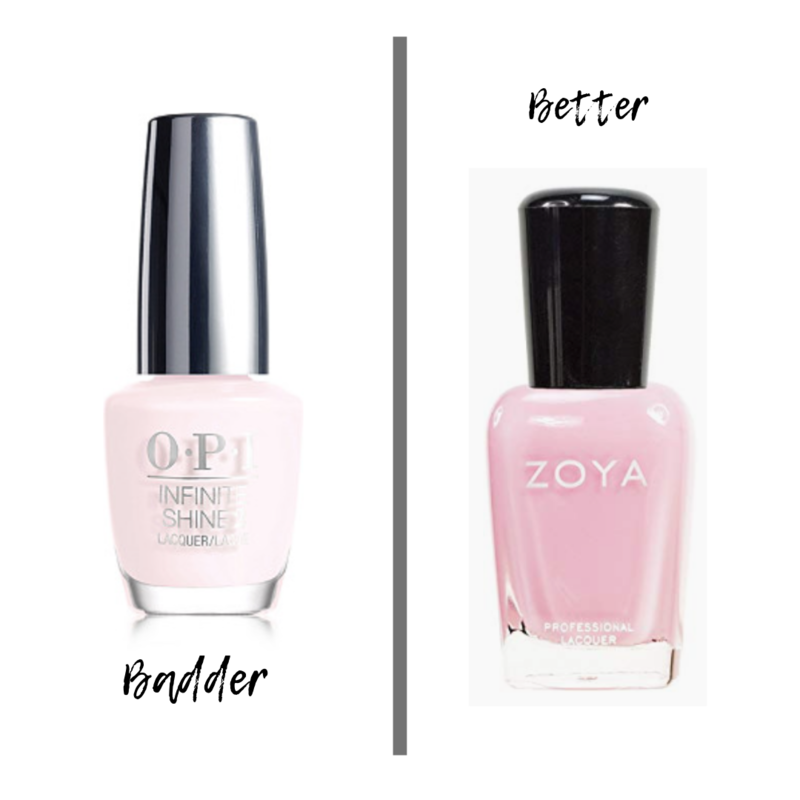 With ingredients like Dibutyl phthalate (DBP), Toluene, Formaldehyde, and Camphor, all which are considered potentially harmful, nail polish is a really important and easy product to swap to safer. You don’t even have to scrimp on beautiful or fun funky shades to make the swap. Shop SAFER HERE! NEED SOME OTHER GIFT SWAP IDEAS?! Ugh!!! Thank you so much for spending the time and for posting this! I am double-committing to my recent commitment to swap out all this junk in my house!